Yesterday, I spent the entire day down at the courthouse, watching something akin to a bad reality show, with no hair pulling or name calling. 😦 It did, however, give me a renewed appreciation for my literate friends, who understand difficult words like “waive” and “deferred”. In their defense, all of the defendants did seem to understand the word “jail”. But onward to the food. 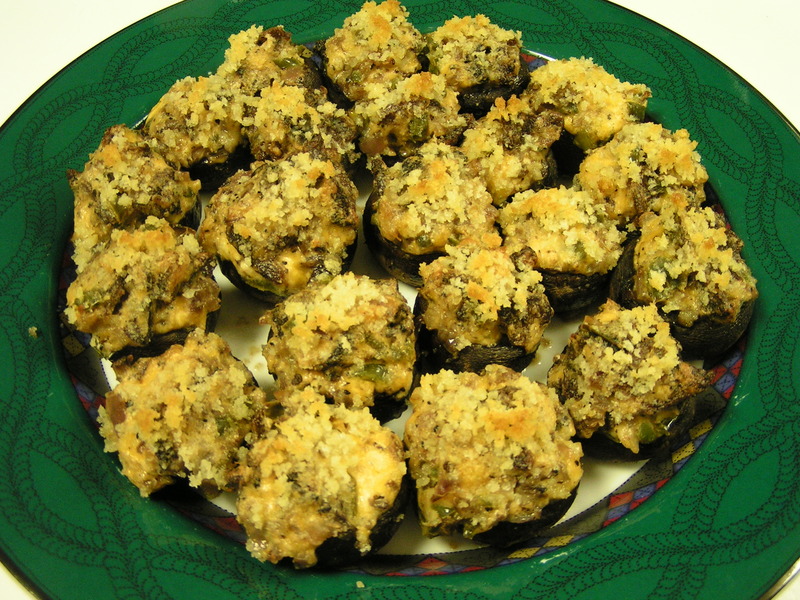 These are absolutely the best stuffed mushrooms I have evah made/eaten/salivated over! 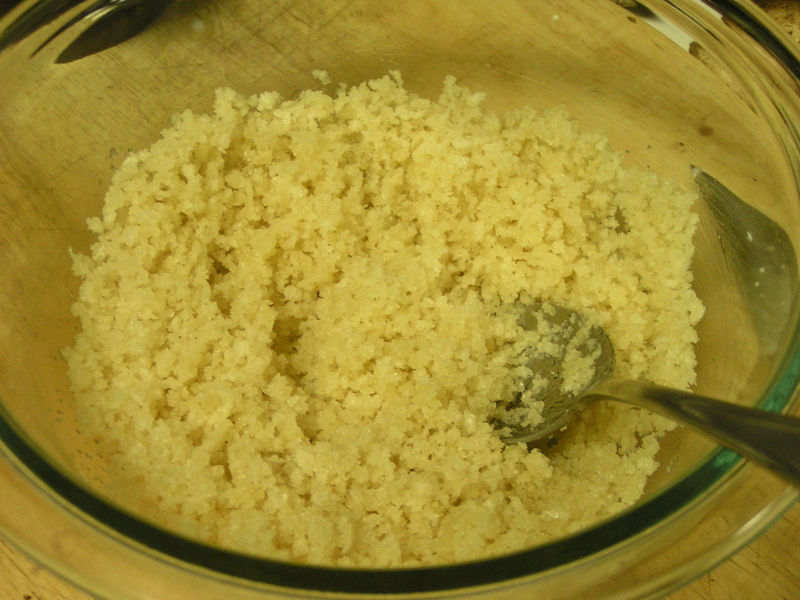 In a small bowl, combine 1/4 cup panko bread crumbs with 1-2 tbsp butter, until the bread crumbs are just moistened. Fry 3-5 strips of bacon until crisp. Chop the bacon into 1 inch pieces first. I used Mrs. Wright’s Peppered Bacon, 5 strips, as we LOVE bacon. 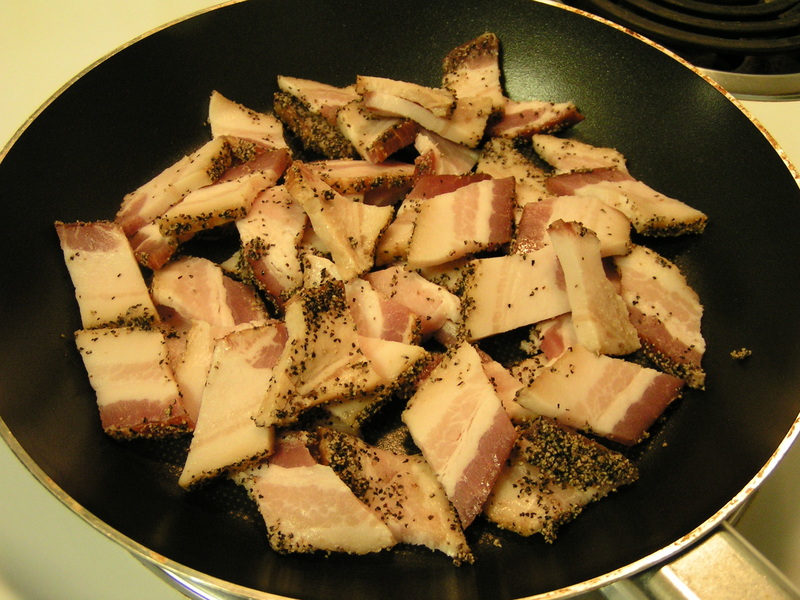 When the bacon pieces are crispy, remove them to a paper towel to drain. 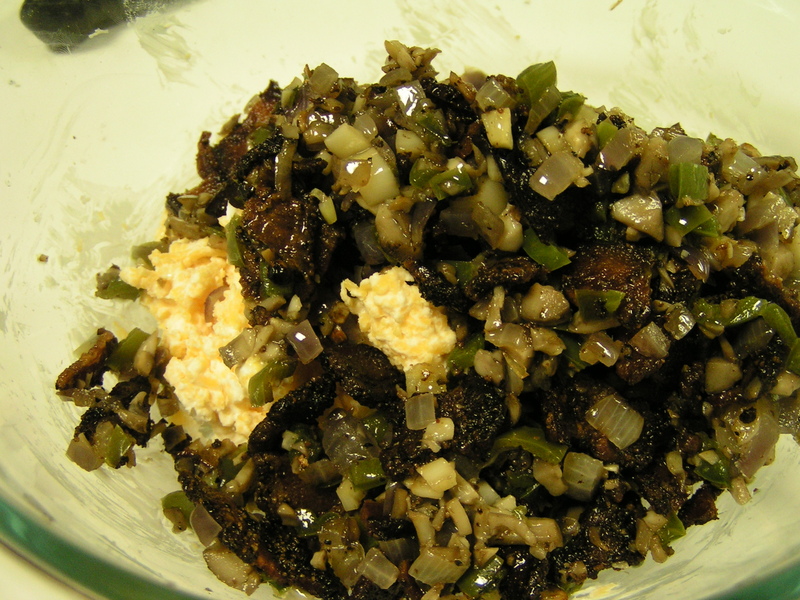 Dice the mushroom stems, 3 whole jalapenos (you can use less, but it’s really not that spicy! 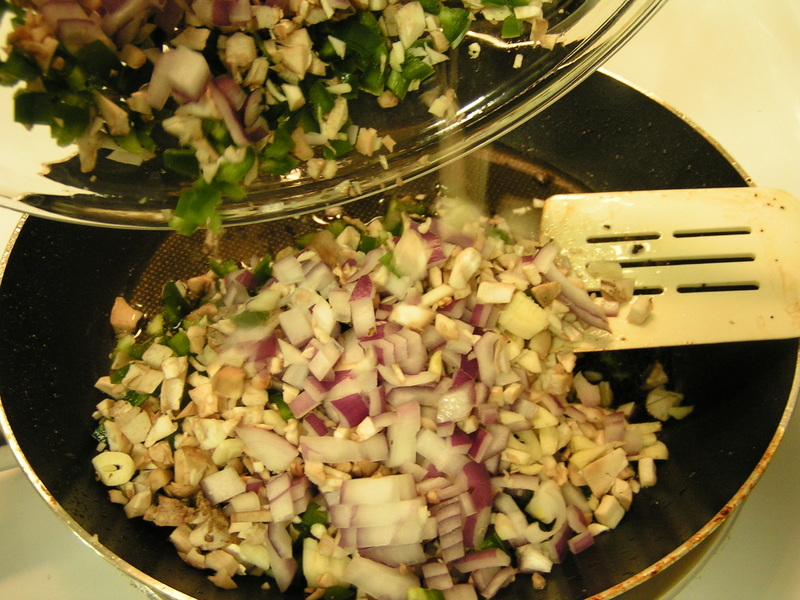 ), 1/2 cup yellow onion, 2 cloves garlic, and saute in the bacon grease. Depending on how much grease there is, you might want to pour some out. 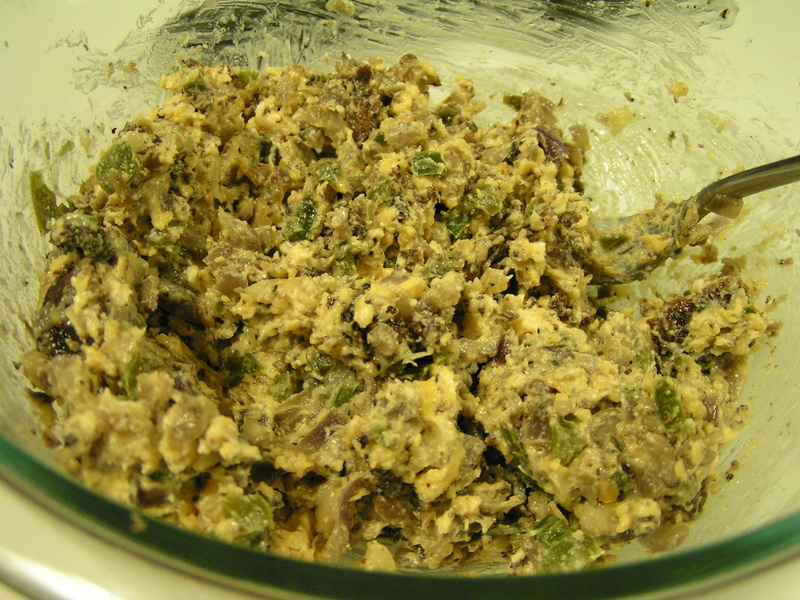 I ended up pouring about 2/3 of the grease out, and there was plenty left to give the veggies a great bacon-y flavor. 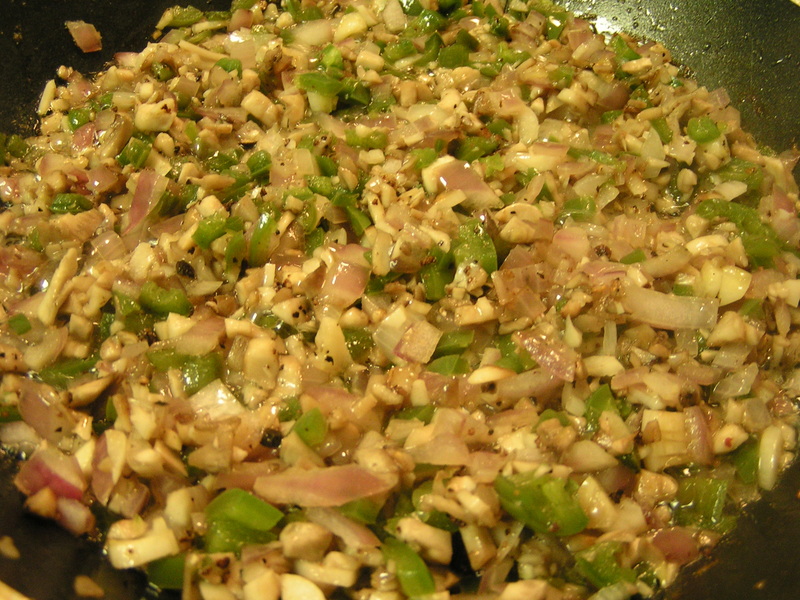 Saute until the veggies and stems are softened, about 5 minutes. Salt and pepper to taste. 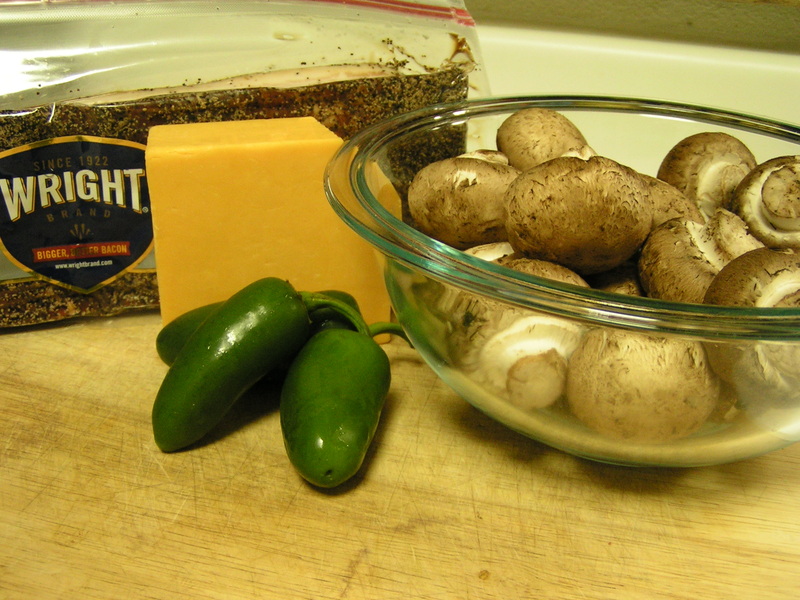 While the veggies are softening, in a medium bowl, mix 1 cup shredded Cheddar cheese with 2-3 oz. 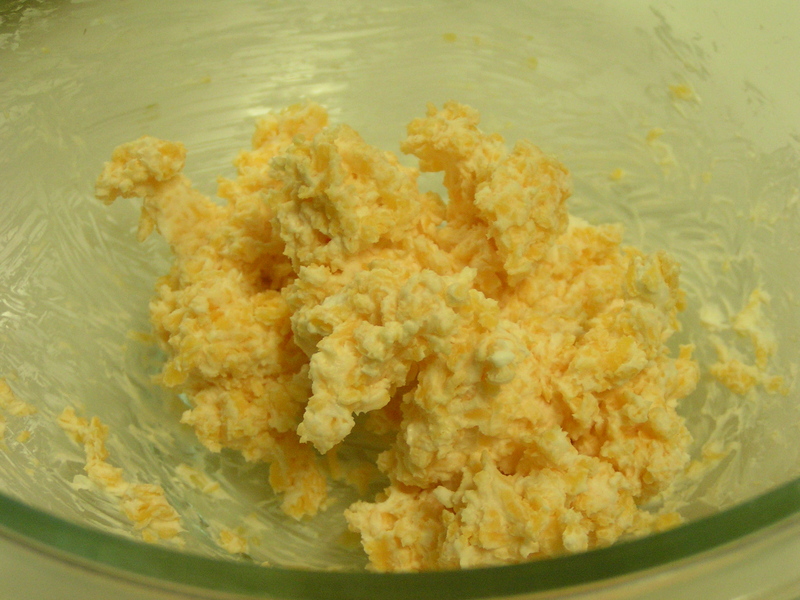 cream cheese. Use a fork and blend well. Add the sauteed veggies and the bacon. Crunch up the bacon if there are any largish pieces. 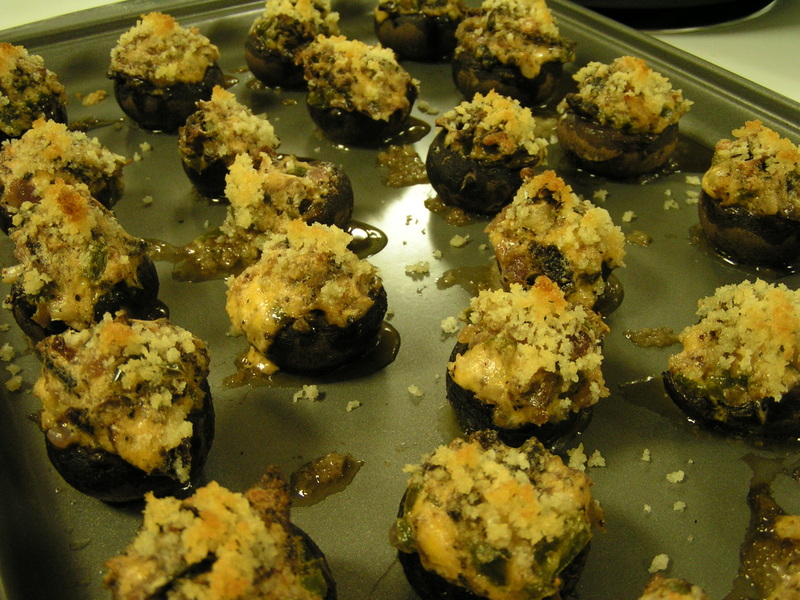 Now, stuff as much of the filling into the de-stemmed mushroom caps as possible. Heap it on! 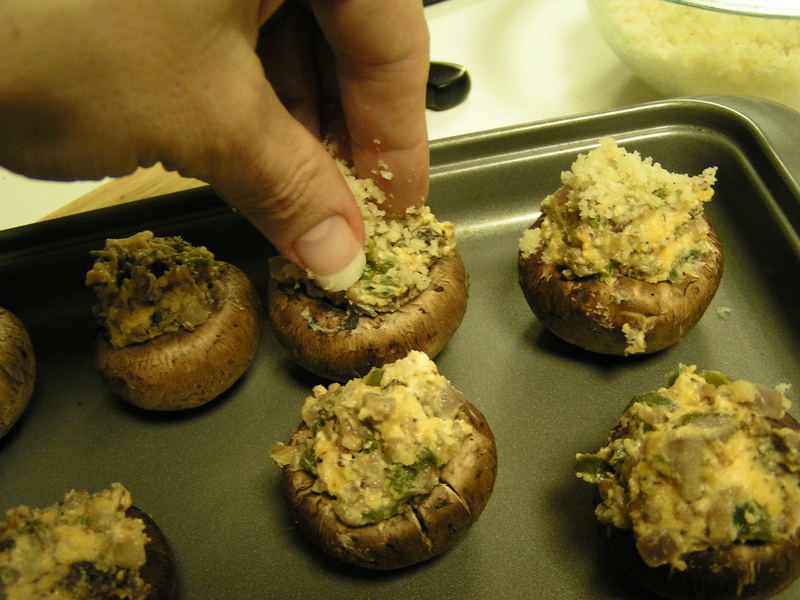 Using your hands (because, really, it’s the only way), pat a pinch of the buttered breadcrumbs on the top of the stuffed mushrooms. 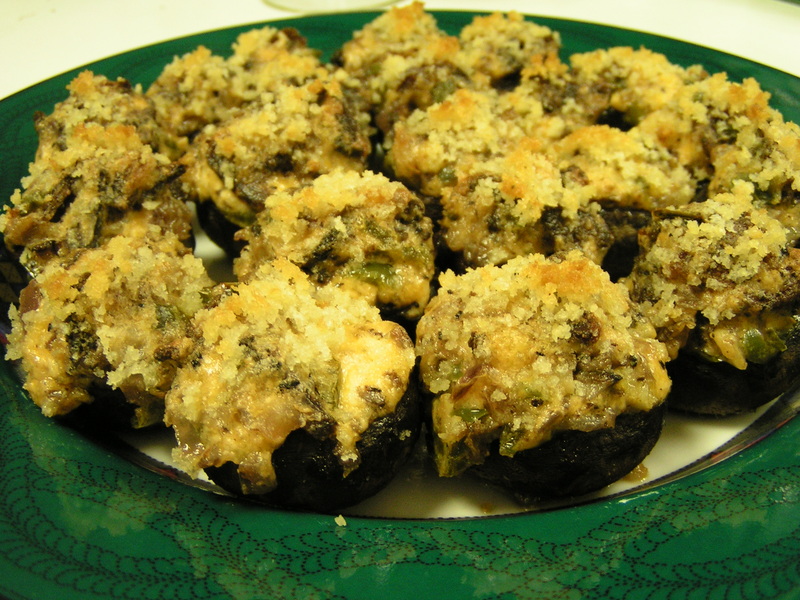 Bake for 20 minutes, or until the mushrooms are tender and the topping is golden brown. Thank you panko and butter! Eat. Quickly if you want any! 😛 The entire batch disappeared in less than 15 minutes. Then Hubby and Rat Boy plaintively asked if that was all! 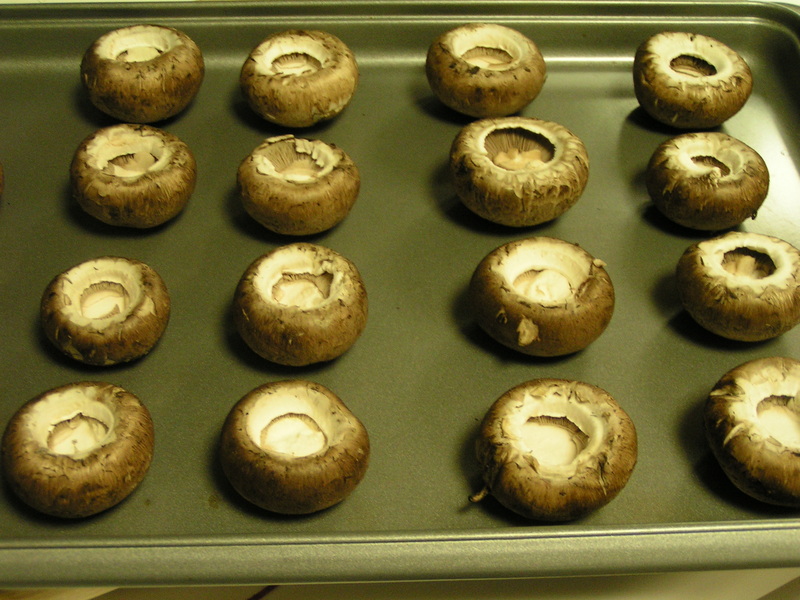 I would have to do it without the mushrooms…. guess I will have to skip this one! 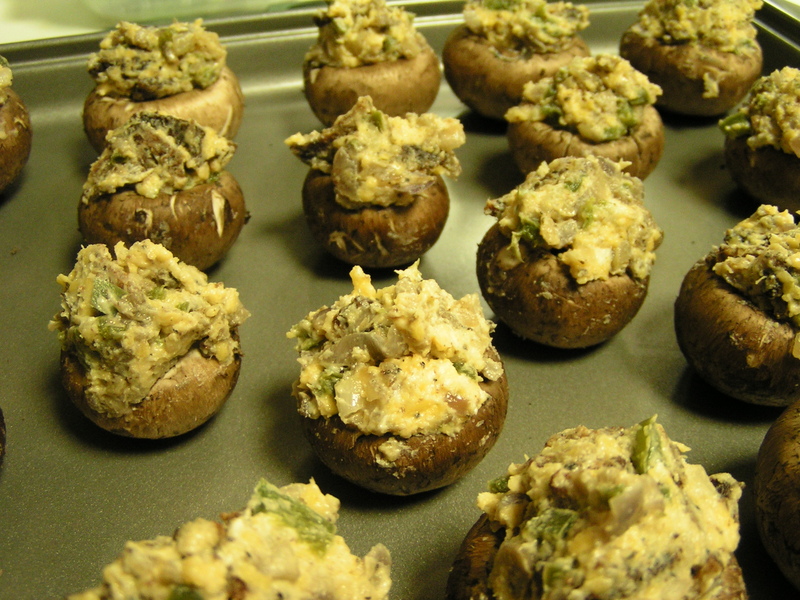 Instead of mushrooms, substitute a slice of ciabatta, or another crusty bread. Yay! I got to meet you in person!